At this point, 2013's Gone Home has pretty much joined the canon of formative video games as a progenitor of the now-ubiquitous (if poorly-named) walking simulator genre. Gone Vroom, then, poses an interesting philosophical question: do cars walk? 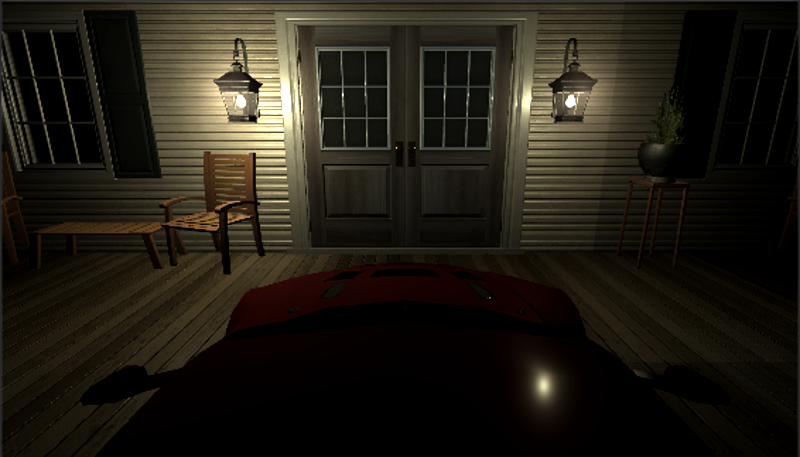 Gone Vroom is a brief but faithful recreation of Gone Home’s muted, mysterious opening, except you’re a car. The gag game, dug up by Rock Paper Shotgun, was made for the Ludum Dare 41 game jam, whose theme was “combine two incompatible genres.” I’m gonna go out on a limb and say that the developers succeeded. Built entirely from assets available on the Unity store or its standard asset pack, plus original voice acting, Gone Vroom recreates the Greenbriar family’s vaguely-spooky house of whispers, and you’ve gotta find a way inside despite your bulky automotive body. Unfortunately, crashing through the doors is not an option. So much for realism.